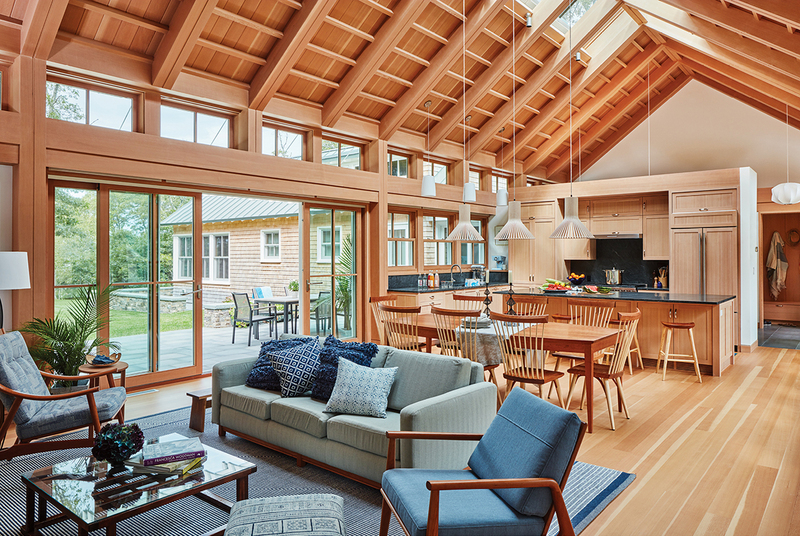 Moskow Linn’s Studio North program – now in its seventh year, won a BSA Honor Award for Design Excellence and a BSA Small Firm Design Award. 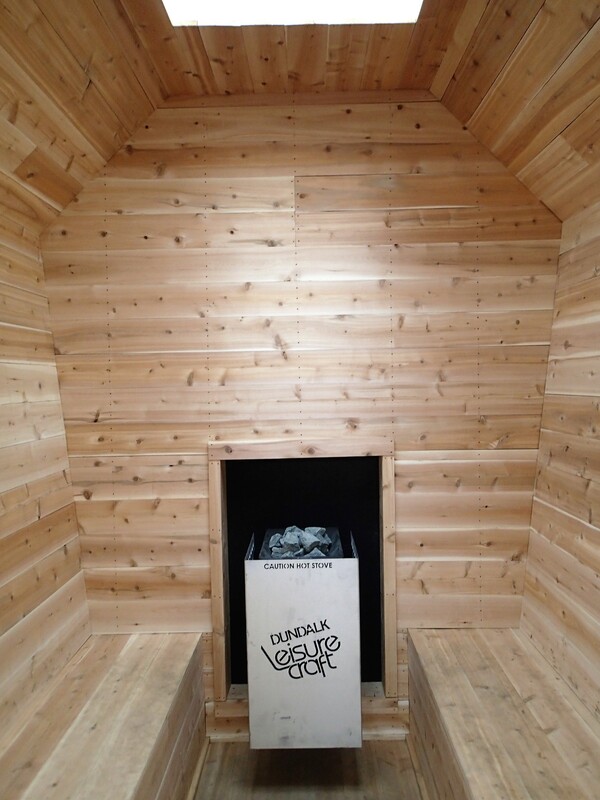 The Mobile Sauna is composed of two rooms – a cedar clad chamber heated by a wood fired boiler and a greenhouse clad in translucent plastic for post sauna relaxation. The sauna can be moved to ski slope, rural pond or field depending upon the season. 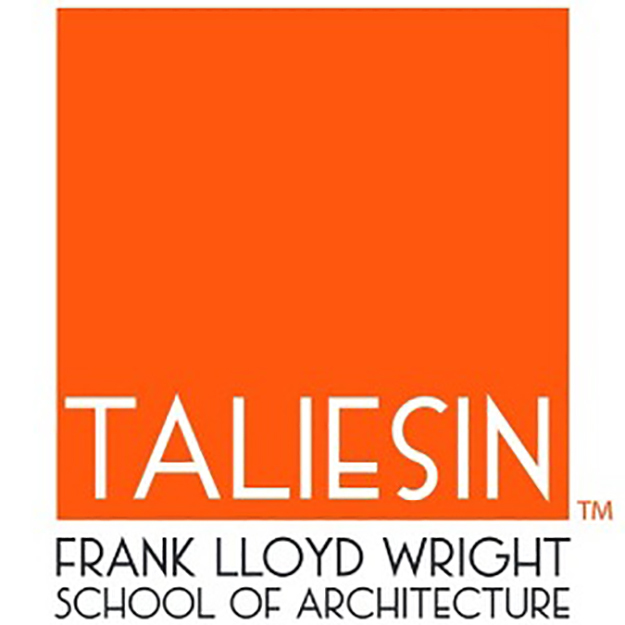 Keith Moskow FAIA lectured to the Taliesin student body on Moskow Linn’s urban and rural interventions. 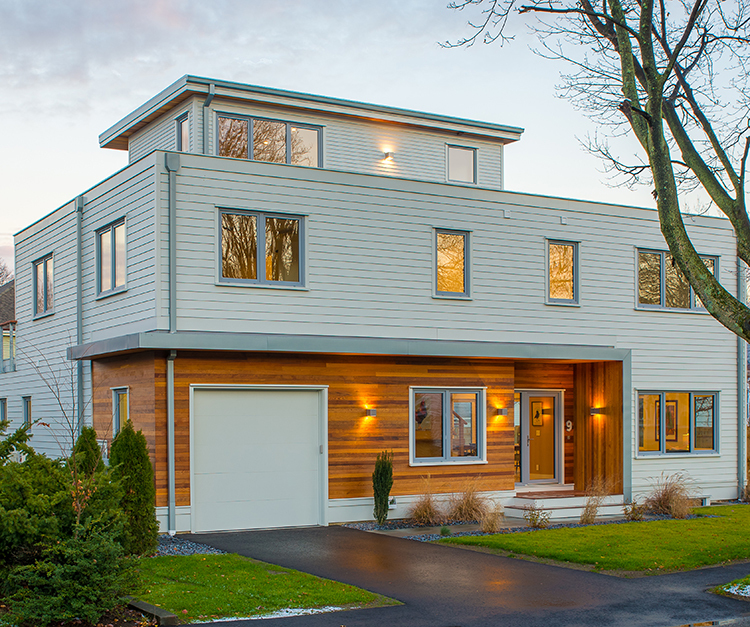 Working with developer Duncan MacArthur, we designed and built two homes on an underutilized Cambridge lot. Energy bills for the homes are projected to be less than $100 per month due to a tight building envelope and incorporation of solar panels. 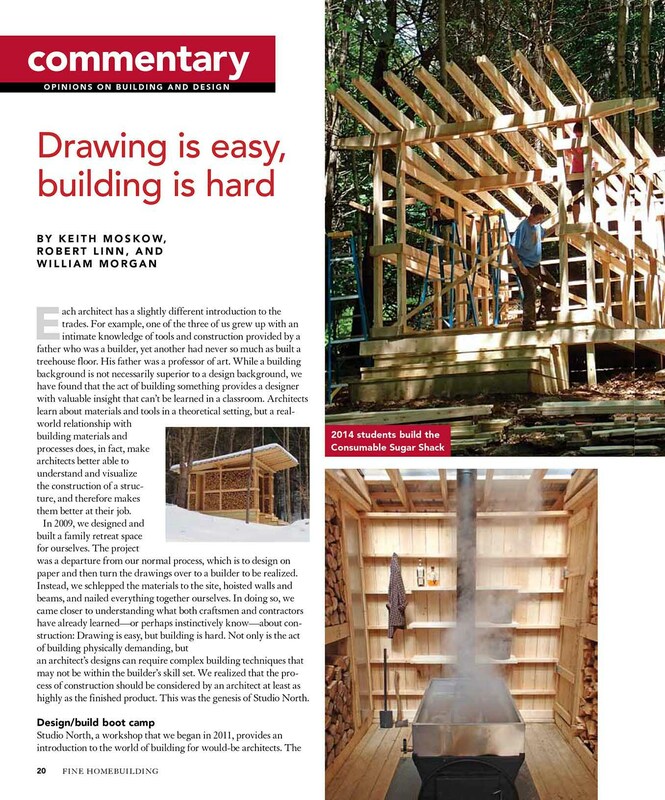 The Studio North program was featured in Fine Homebuilding annual “Houses” issue. 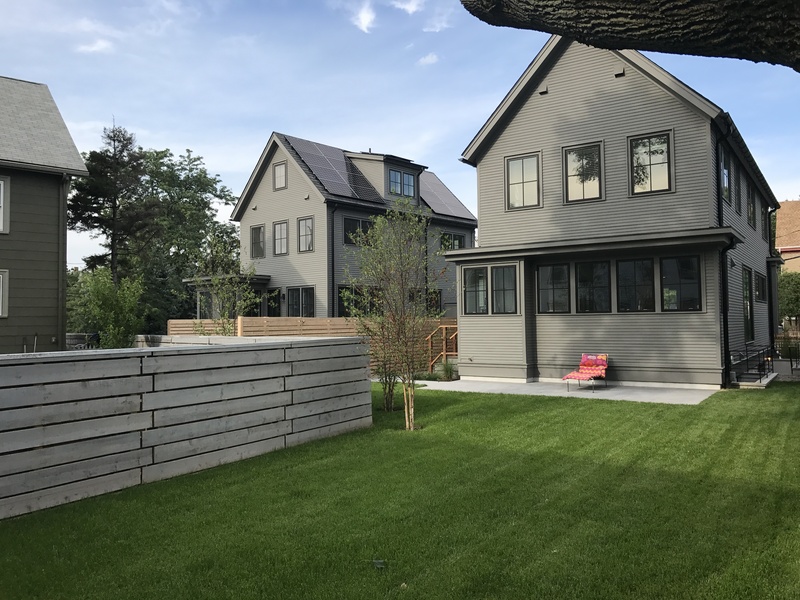 Working with developer Ray and Sarah Lemieux, we designed and built a contemporary home in an up and coming Belmont neighborhood. The home sold shortly after construction.